RUD COLLAR-0875 - 316 Stainless steel Rudder Collar for a 7/8 Inch rudder stock. Tides Marine Rudder Collars are for use on motor vessels. Machined from high grade stainless steel, each unit comes ..
RUD COLLAR-1000 - 316 Stainless steel Rudder Collar for a 1 Inch rudder stock. Tides Marine Rudder Collars are for use on motor vessels. Machined from high grade stainless steel, each unit comes wi..
RUD COLLAR-1250 - 316 Stainless steel Rudder Collar for a 1 1/4 Inch rudder stock. Tides Marine Rudder Collars are for use on motor vessels. Machined from high grade stainless steel, each unit come..
RUD COLLAR-1375 - 316 Stainless steel Rudder Collar for a 1 3/8 Inch rudder stock. Tides Marine Rudder Collars are for use on motor vessels. Machined from high grade stainless steel, each unit come..
RUD COLLAR-1500 - 316 Stainless steel Rudder Collar for a 1 1/2 Inch rudder stock. Tides Marine Rudder Collars are for use on motor vessels. Machined from high grade stainless steel, each unit come..
RUD COLLAR-1750 - 316 Stainless steel Rudder Collar for a 1 3/4 Inch rudder stock. Tides Marine Rudder Collars are for use on motor vessels. Machined from high grade stainless steel, each unit come..
RUD COLLAR-2000 - 316 Stainless steel Rudder Collar for a 2 Inch rudder stock. Tides Marine Rudder Collars are for use on motor vessels. Machined from high grade stainless steel, each unit comes wi..
RUD COLLAR-2250 - 316 Stainless steel Rudder Collar for a 2 1/4 Inch rudder stock. Tides Marine Rudder Collars are for use on motor vessels. Machined from high grade stainless steel, each unit come..
RUD COLLAR-2500 - 316 Stainless steel Rudder Collar for a 2 1/2 Inch rudder stock. Tides Marine Rudder Collars are for use on motor vessels. Machined from high grade stainless steel, each unit come..
RUD COLLAR-2750 - 316 Stainless steel Rudder Collar for a 2 3/4 Inch rudder stock. Tides Marine Rudder Collars are for use on motor vessels. Machined from high grade stainless steel, each unit come..
RUD COLLAR-3000 - 316 Stainless steel Rudder Collar for a 3 Inch rudder stock. Tides Marine Rudder Collars are for use on motor vessels. 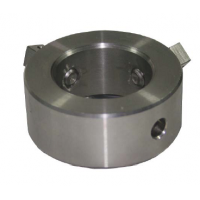 Machined from high grade stainless steel, each unit comes wi..
RUD COLLAR-3500 - 316 Stainless steel Rudder Collar for a 3 1/2 Inch rudder stock. Tides Marine Rudder Collars are for use on motor vessels. Machined from high grade stainless steel, each unit come..
RUD COLLAR-4000 - 316 Stainless steel Rudder Collar for a 4 Inch rudder stock. Tides Marine Rudder Collars are for use on motor vessels. Machined from high grade stainless steel, each unit comes wi..
RUD COLLAR-4500 - 316 Stainless steel Rudder Collar for a 4 1/2 Inch rudder stock. Tides Marine Rudder Collars are for use on motor vessels. Machined from high grade stainless steel, each unit come..
RUD COLLAR-5000 - 316 Stainless steel Rudder Collar for a 5 Inch rudder stock. Tides Marine Rudder Collars are for use on motor vessels. Machined from high grade stainless steel, each unit comes wi..